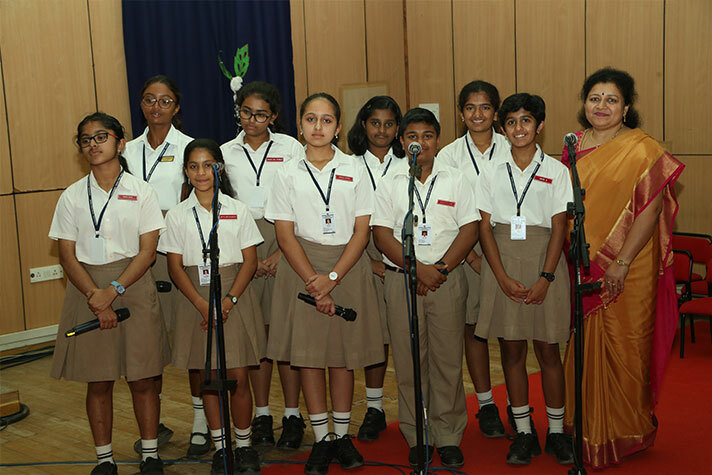 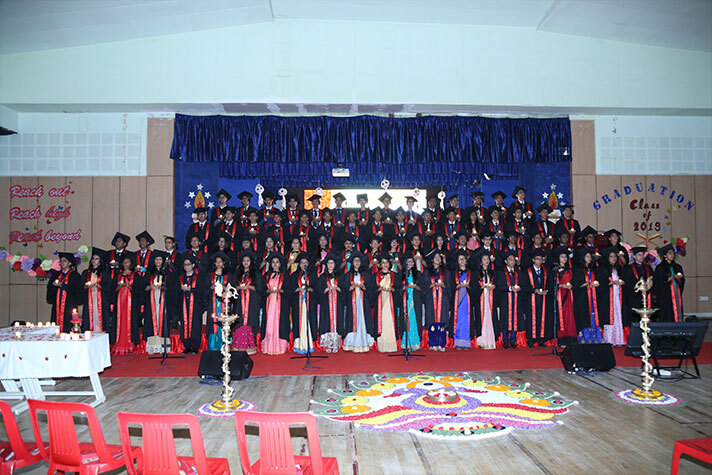 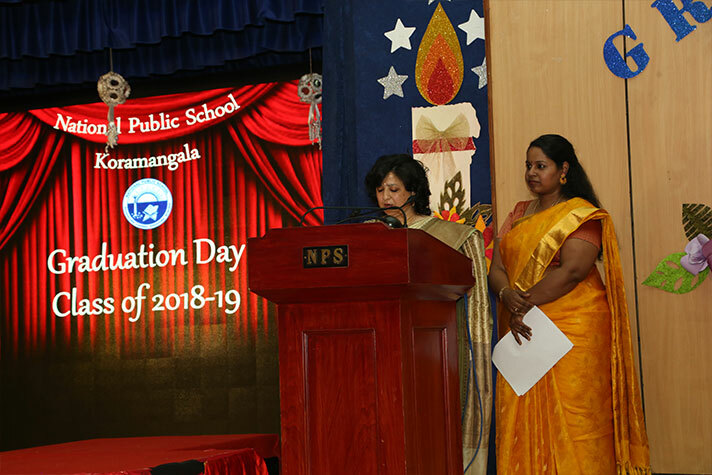 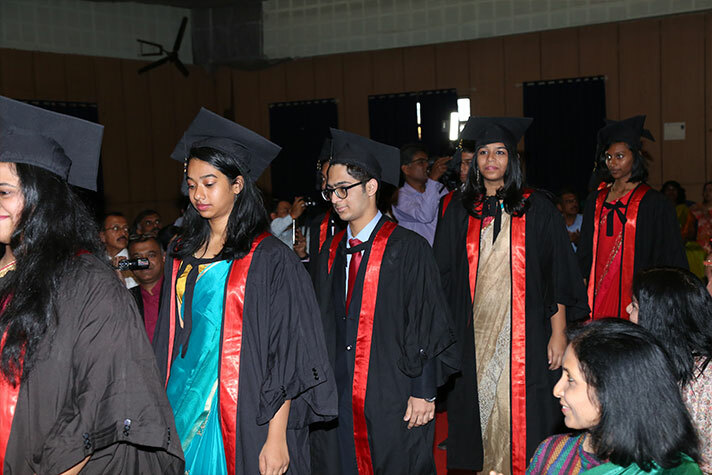 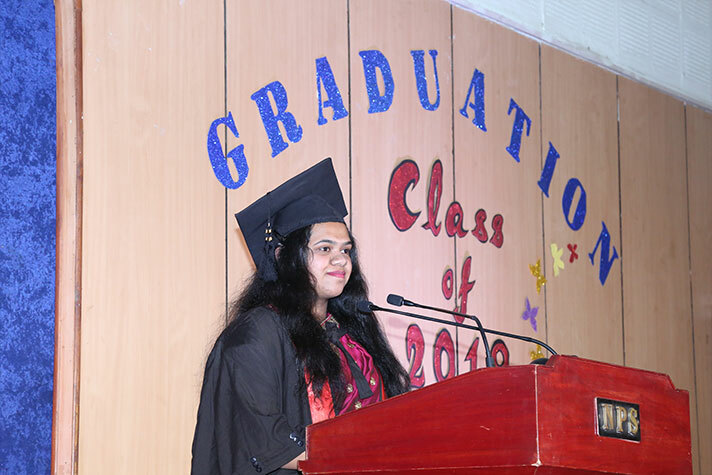 National Public School Koramangala bid a warm adieu to its fourteenth batch of 12th graders at the Graduation ceremony on 2nd Feb. 2019. 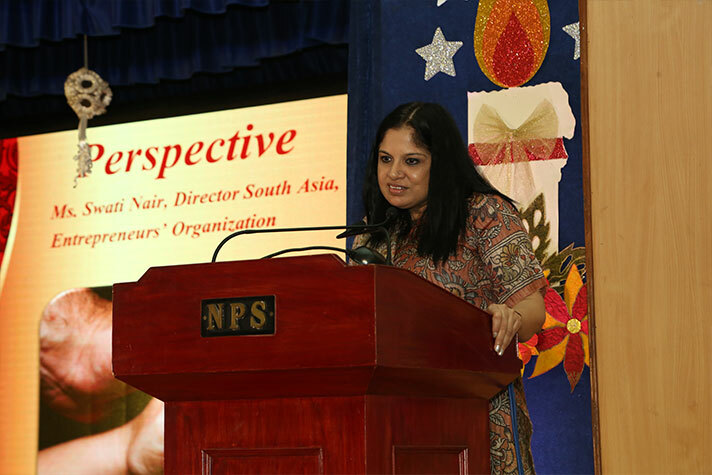 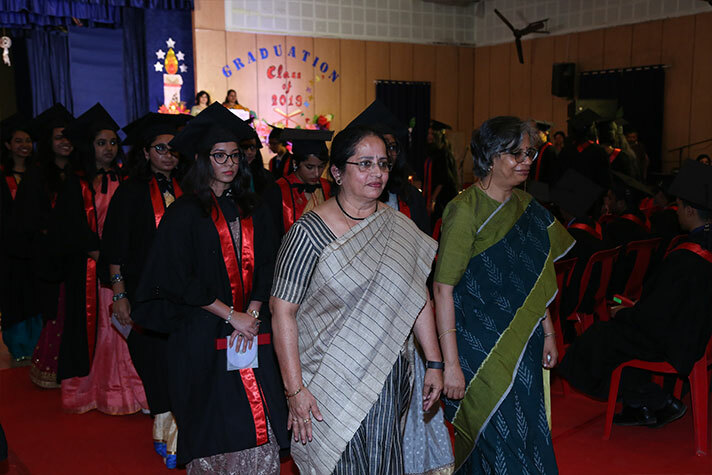 The Chief Guest Mrs. Vaishali Kasture, Co-Founder of Sonder Connect accompanied by the Chairman, National Public Group of Schools – Dr K P Gopalkrishna, and the Director Dr Bindu Hari graced the occasion. 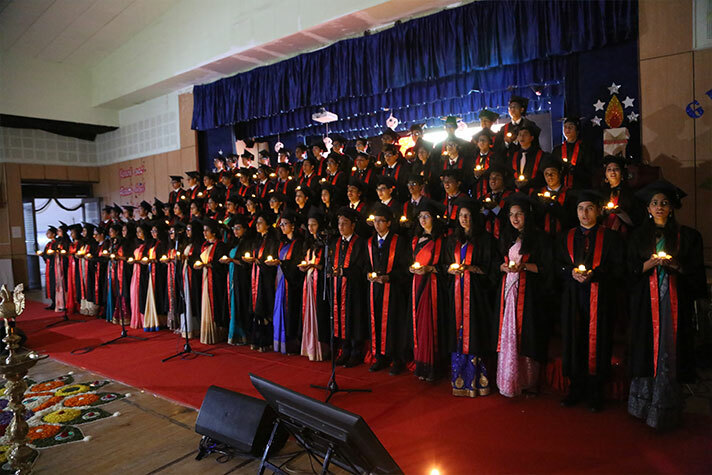 A lovely flashback tale of Grads’ cherished moments preluded the splendid evening. 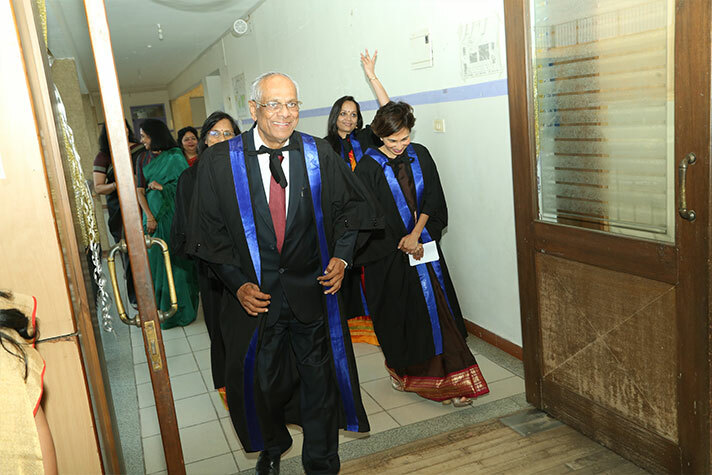 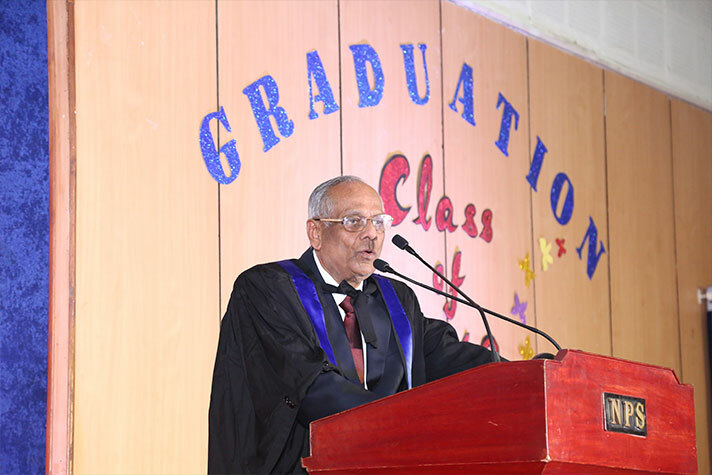 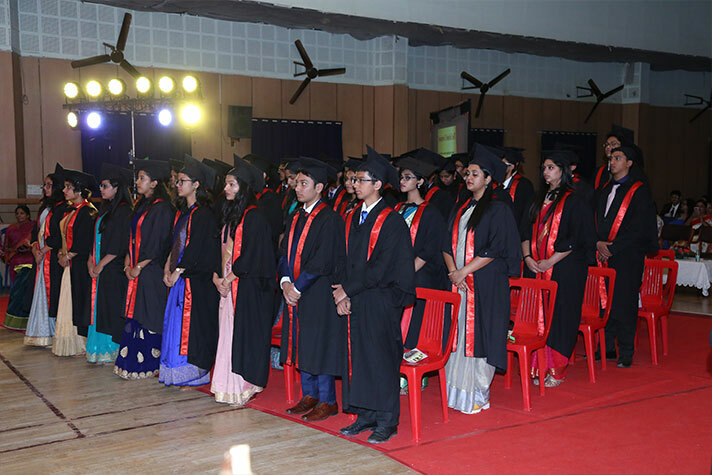 To choose what is right over what is easy, serve society with empathy and to always retain the optimism of a leader, were few of the choicest advice imparted by the dignitaries to the passing out batch that made the evening richer and memorable. 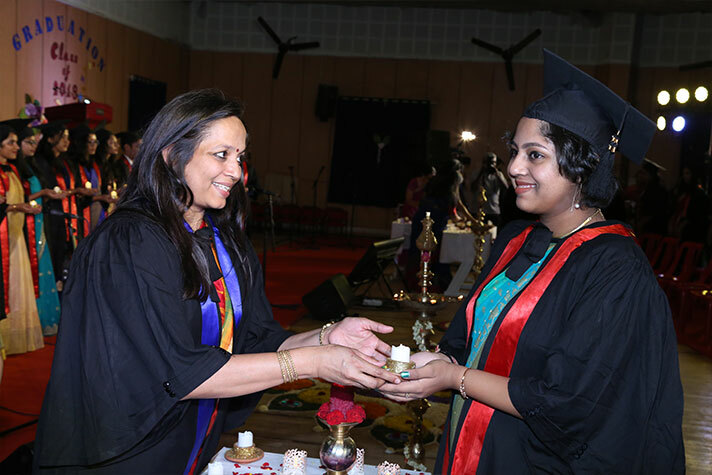 A scroll and a CD were presented to each of the graduates. 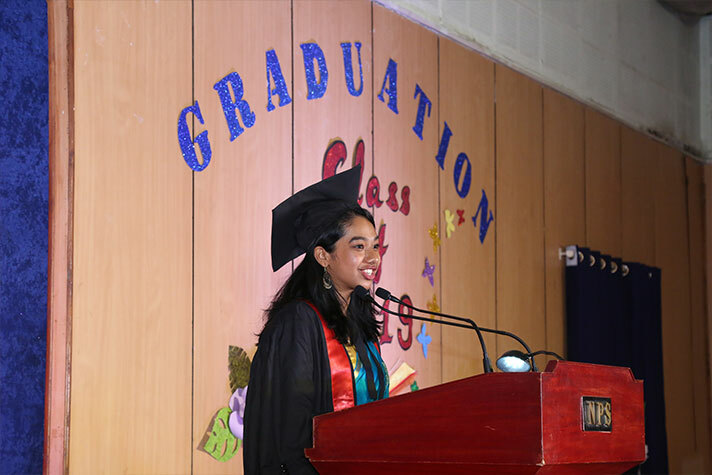 Tanisha S Paramba and Pooja Rajesh shared their beautiful memories and spoke eloquently about how their alma mater has shaped them into able and confident students. 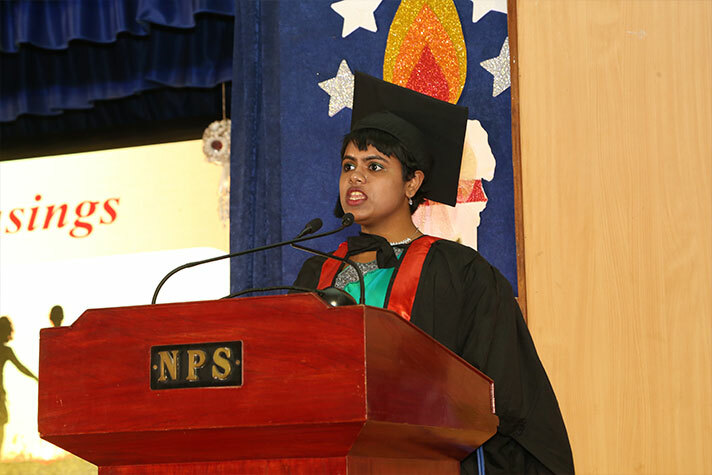 School Prefect, Neha Sharon Jacob read the Covenant, a solemn agreement that reminds the students of their duties in future and a pledge to abide by the values learnt throughout their schooling. 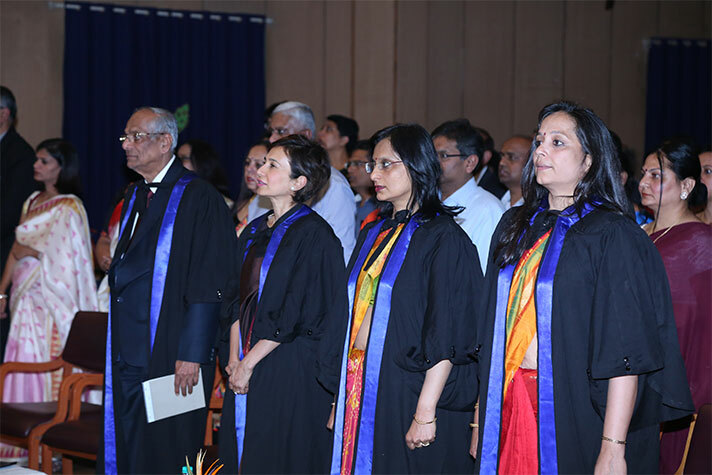 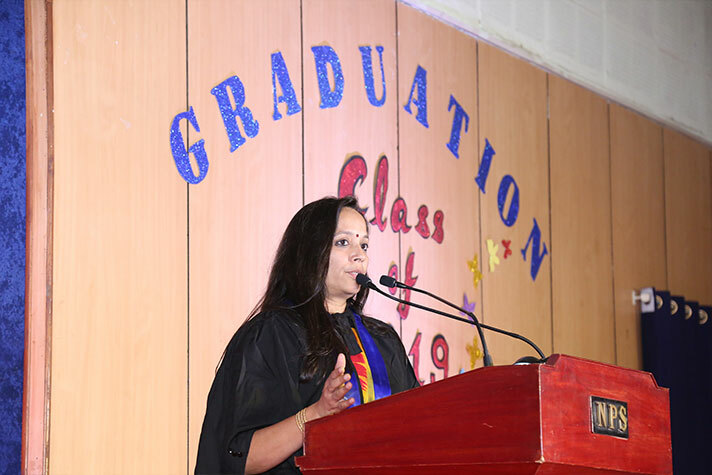 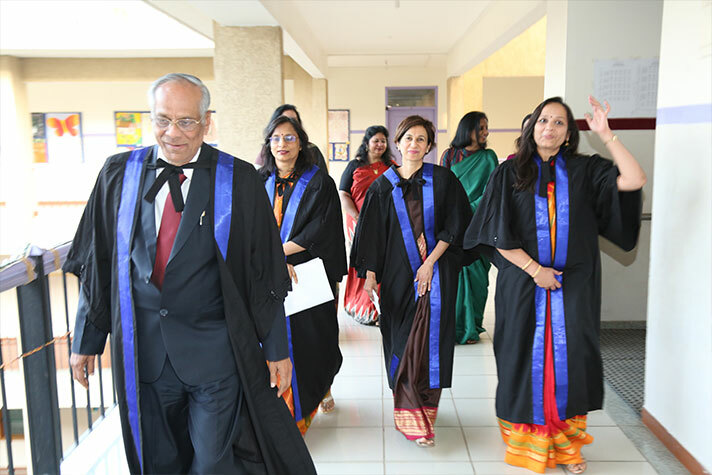 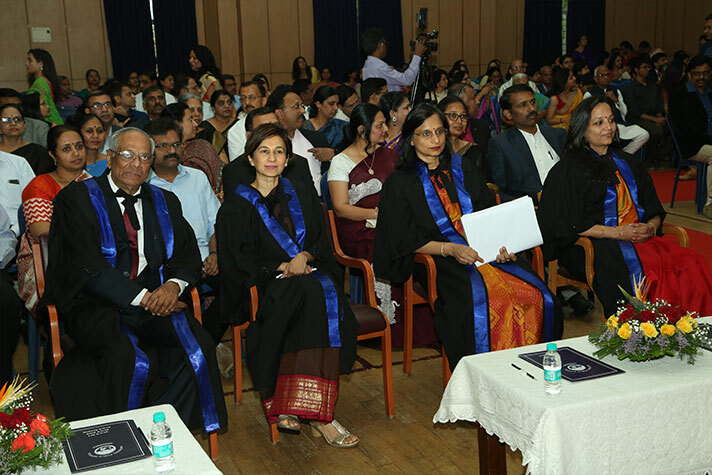 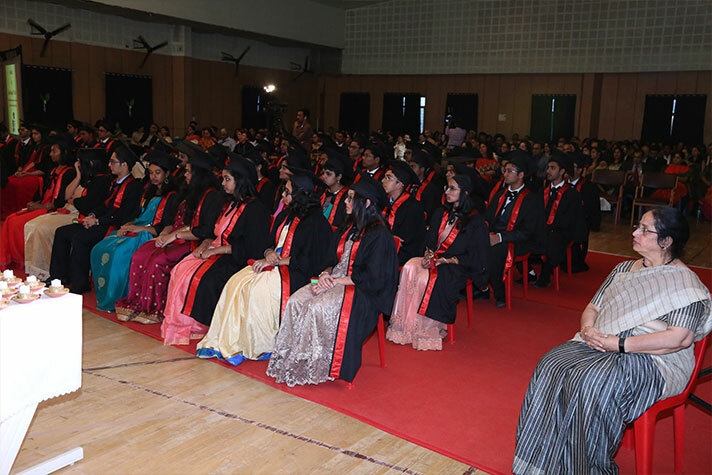 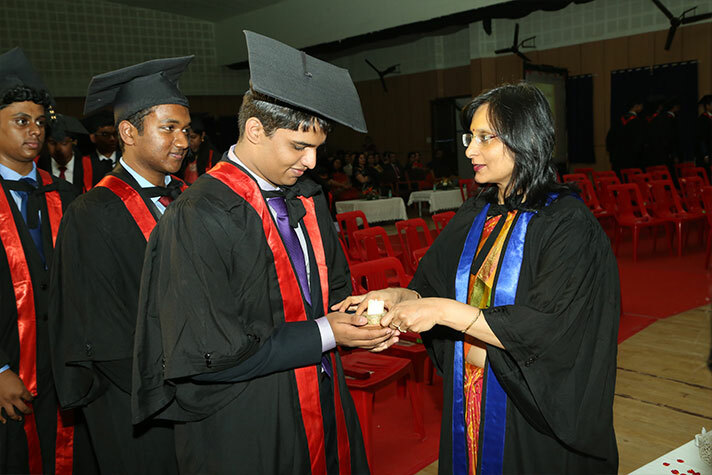 Principal, Mrs Jyotsna Nair declared the students graduands reminding them to persevere and remain true to their conscience. 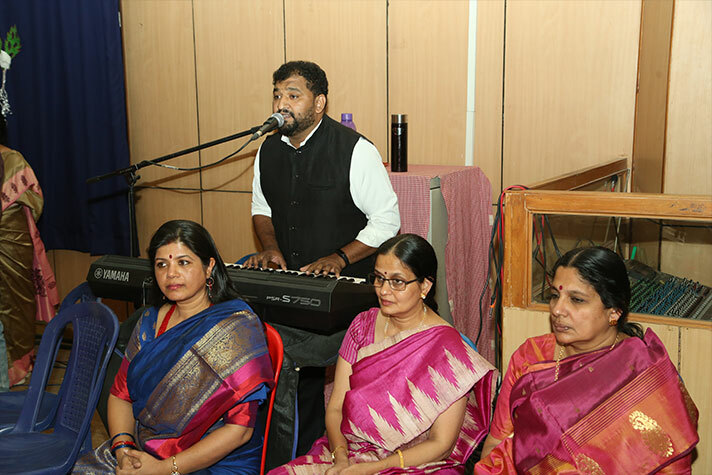 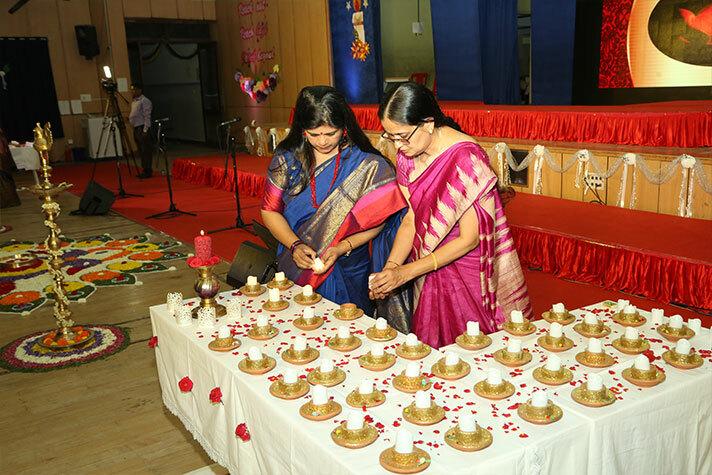 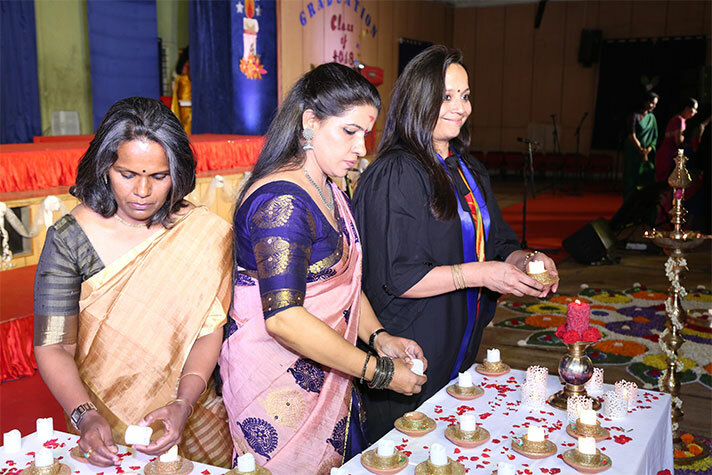 The evening matured as the candles were lit and the sonorous melody of the School Song serenaded the atmosphere. 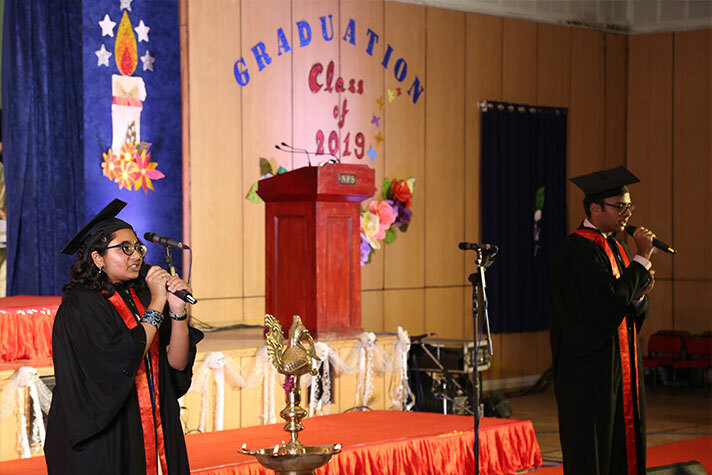 With a wish on the lips and a prayer in their hearts the school fraternity bid goodbye and ‘Hogi Banni’ to this enthusiastic and affectionate Class of 2019.